I've seen the Bette Davis movie and was not thrilled. I love Cate Blanchett but still have to admit 'Elizabeth R' with Glenda Jackson is my favorite. I think that portrayal may be closest to Elizabeth's personality, and is probably the most factual. Elizabeth I was such a "rock solid" Queen in history and I'm sure that for an actress to portray her in a film would be a huge feat. 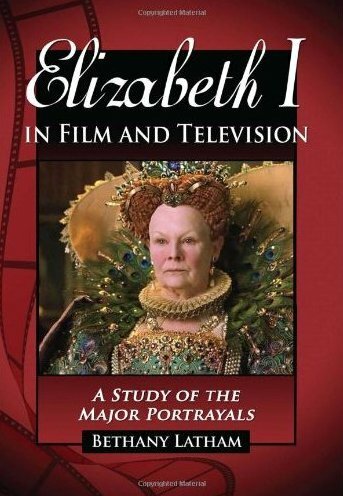 I have read other books about Elizabeth I and have been enthralled at watching Helen Mirren portray her. I don't think anyone could tire of seeing how an actress would take on that role. I look forward to reading more and watching more about this incredible woman. Interesting how a different director and/or actress can change the perception of a historical figure. One must be aware and balance the representations. Sounds like an interesting book. I'm not a huge Elizabeth fan but I think that this premises sounds awesome. I always love looking into the people who play a particular character in history and seeing what they bring to the role. Thanks for this review.